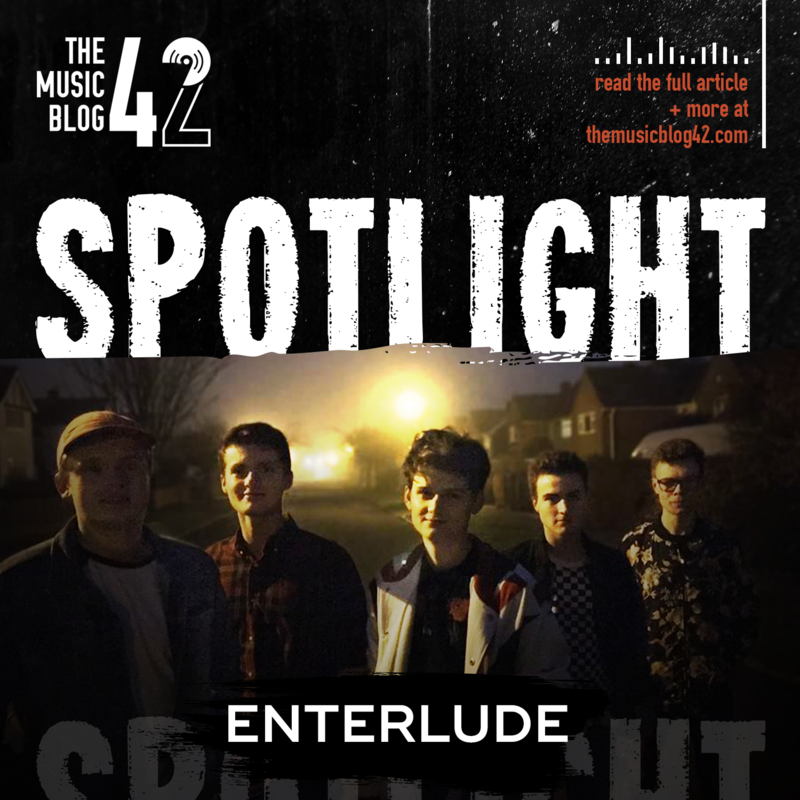 This month’s Spotlight is on one of the most exciting bands on the local scene : indie synth-pop band Enterlude. Although they are only starting to become more prominent within the local scene, the band formed in early 2016 which saw four out of the five members start learning their instruments from scratch, an impressive achievement for a band who are slowly becoming one of the hottest prospects on the local scene. What makes Enterlude stand out from their guitar-driven counterparts within the scene is their use of electronic sounds within their indie-pop instrumentals. As heard in debut single Hurt Yourself, the driving synth rhythm which triumphantly weaves throughout the track combines well with the fuzzy guitar riffs and laid-back vocals. Though their debut single was a success, British Dream really is Enterlude at their best. The instantly memorable synths which links up with the confident vocals makes this easily one of our songs of the year. The band interestingly state The Strokes and The Killers as just two of their influences within their music, two bands that have evolved their sound over the past few years to include more electronic-based instrumental. However they do state that they all have a variety of different music tastes which helps to contribute to their sound! The start of 2018 saw them participate in their first BurySOUND heat, just a few months after playing their first Hunter Club gig supporting SIAH and The Virtues. They were desperately unlucky to miss out on going through to the final in what was a very strong heat, however the room was packed out for them and like they said “we had a full room going crazy to our songs”. Promising stuff, right? The next few months is going to be interesting for the band, with an EP to be released towards the end of July which we really can’t wait to hear! Enterlude are also looking to play more gigs so if you’re a local promoter, be sure to get in touch with them via their Facebook page! In an exciting new partnership with Huntingdon Community Radio, British Dream will be played throughout the station during the month of June!